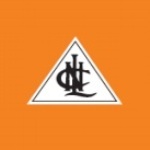 Neyveli Lignite Corporation Limited is a Public Sector Enterprise of India which is engaged in Coal mining and Electricity generation. This company bears a NAVRATNA rank which will be issued by the Central Government in interest of grading the public sector undertakings. The corporate office of NLC is located at Neyveli and the mining of Lignite itself carried out there. NLC has a desire to expand its business all over the World, by introducing new schemes and financial reconstructions. This expansion leads NLC to adopt professionals and skilled employees to various departments where the expansion takes place. On behalf of these activities it invited result oriented talents to employ them in the disciplines of Medical and Mining. Any individuals who are interested in this recruitment can apply online by following the necessary steps.